An EBF Maiden Stakes over 5f 8y on soft ground. 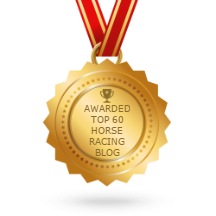 Eight two-year-olds take part: six horses with race experience and two debutantes. Richard Hannon's stable has a wealth of talents. Body Builder is a son of Power and cost £42,000 at the yearling sales. This February foal was fancied in the betting when making his debut at Salisbury. However, he could never quite get involved although beaten under five lengths in sixth. The form of that race is probably fair. Certainly, the winner, Youkan, trained by Stuart Kittow, proved something of a surprise package to punters. He was backed from 40-1 so the stable must have felt their sizable son of Choisir would be in with a shout. He won well. Perhaps Body Builder had been flexing his muscles on the gallops because he was well backed when making a return to course and distance. A form line with Joegogo suggested he ran a similar race. The form of that contest has been franked. The winner, Nine Below Zero, was keen but shot clear in the closing stages. A tidy win, under a penalty at Windsor next time out, indicates that Ralph Beckett's charge is high class. The second, third & fourth all have ability. Body Builder was in the mix. This race shouldn't be as competitive. A horse with a fighting chance but may be prone to a talented opponent. The betting suggests this is a pretty open affair. Peter Leonard is better than seen on debut when making his first start at York. That venue in itself is a pointer worthy of note because Richard Fahey doesn't send poor horses to that course. This bay colt is a son of Kyllachy and 70,000G yearling purchase. Although a Median Auction Stakes, it was a tough contest. The first three are fair types. So what happened to Peter Leonard? He pulled much too hard and ruined his chance. He was priced 6-1 which adds to hope he was expected to go well. Fahey gave this February foal a Brian Yeardley Stakes entry, one of three horses. He needs to settle and show fewer signs of temperament. However, that exuberance may well have been down to inexperience and if those loftier plans were at all realistic he should run well. Declan Carroll doesn't have the biggest string of juveniles but has always been a trainer who can shine when given a horse with ability. He has shown that with Santry who won the Brocklesby Stakes and then defied a penalty, cruising to an impressive victory. Santry will be heading to Royal Ascot and likely to show a few big guns who is the boss. Carroll fields two horses here. Back in April, Bee Machine made his debut in the second division of the Brocklesby. This son of Footstepsinthesand was fancied in the betting. In fact, to start at odds of 8-1 suggests the stable had some confidence. This 50,00G buy finished ninth. He hasn't been seen since that run. That may indicate he suffered an injury or had issues. The betting is the best guide. If strong in the market it would be encouraging especially considering his stablemate is the smart Santry. Carroll comes here double handed with Abel Handy. This son of Arcano was a breeze-up purchase costing just £16,000. The stable can win with horses making their racecourse bow. The betting is key. If strongly fancied in the betting it may be significant. If weak, I would take a watching brief. Mark Johnston hasn't hit the heights of previous years. His two-year-olds are, on average, not as strong as the last two seasons. W G Grace wasn't fancied on debut when making his appearance at Catterick over 5f. The form of that race looks fair but this son of Exceed And Excel really needs to show much more zest for racing on this second start. In fact, unless he needed the race I would have grave doubts about this horse winning. Horses can improve markedly from first to the second start. The betting will be the best guide. If weak in the market, I would take a watching brief. If seriously backed, it would bring greater hope. William Muir is a capable trainer. Cent Flying wasn't best fancied when making his debut at Newmarket over 6f. He was very keen, held up in rear, and made no impression. Muir drops this horse in trip mostly probably trying to nullify his tendency to pull. The betting is key. The stable can go well with horses on their second start and if priced 15/2 & less SP may have each-way claims. If outside this guide, best watched. Newmarket trainer Martin Smith hasn't really registered with me for his two-year-old runners, not having a winner in the last five years from a dozen runs. That doesn't mean to say he cannot win. Roman River is a son of Holy Roman Emperor cost 43,000G at the yearling sales. I would have to take a watching brief. Peas On Earth shows limited ability on debut. Derek Shaw's horse will improve for that racecourse bow but best watched today. Conclusion: I would let the betting settle before jumping in with both feet. The only exception to that may be if you fancy Peter Leonard and think he will be backed. If this colt is a powerhouse, he will be backed. Body Builder sets a fair level without being a talent. He will run a race and likely to hit the frame but may be prone at short odds. I must admit, Peter Leonard could be a dark horse. 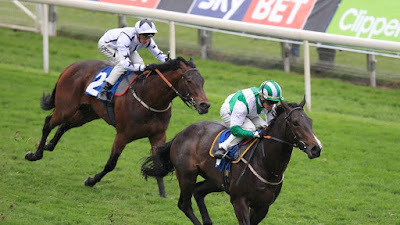 He ruined his chances on debut but racing at York plus a recent Brian Yeardley Stakes entry does give some confidence. If less keen I would expect this horse to hit the frame. Declan Carroll's representatives are best assessed by the betting. The shorter of the two in the market is the most likely. Not the easiest of trainers to assess but someone who can make waves. Bee Machine cost a fair sum and was a short price for the Brocklesby Stakes. It could be a sign of significance. W G Grace didn't inspire on debut. Unless he was seriously in need of the race on debut I would take a watching brief. If seriously backed, it would bring greater hope.